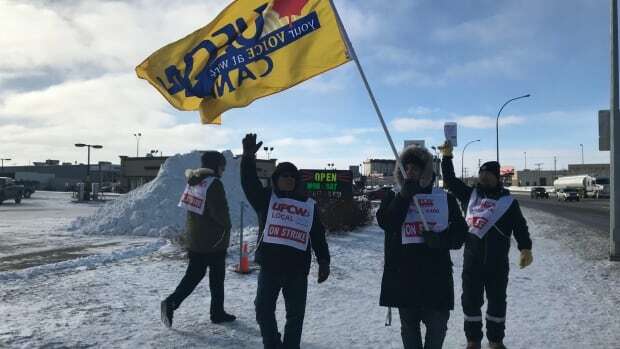 A tentative agreement has been reached between the Saskatoon Co-op and hundreds of striking workers. Union officials confirmed an agreement had been reached on Sunday and workers will be voting on the deal this week. Members of the United Food and Commercial Workers have been on strike since November 1. Both sides were divided over the Co-op’s plan to offer a two-tiered system where newly-hired employees would receive less money than existing workers. Hundreds of workers went on strike in Saskatoon, Warman, Hepburn, Dalmeny, Waldheim and Rosthern. The union would not provide details on the deal that had been struck. Co-op workers voted against a deal from the employer in January.